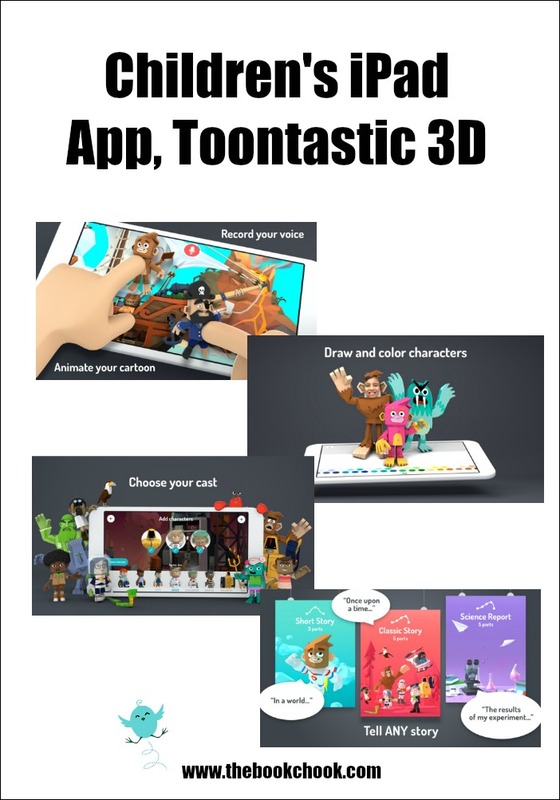 Recently I discovered that the Toontastic app I reviewed in 2015 has become Toontastic 3D. Google have made it available for free - for tablets, phones and Chromebooks. As far as I’m concerned, what was already a nifty way for kids to tell digital stories has become even better! 3… 2… 1… ACTION! 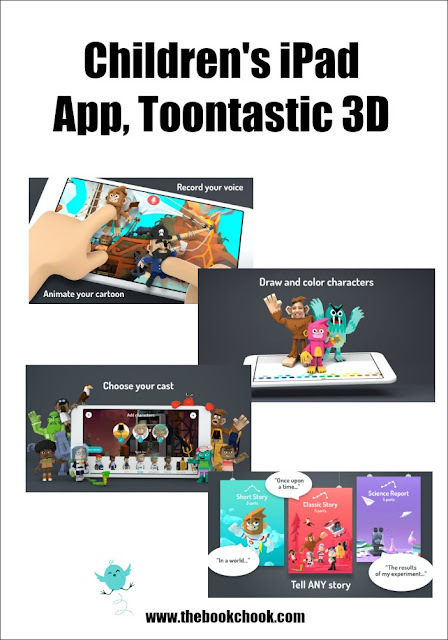 With Toontastic 3D you can draw, animate, and narrate your own cartoons. It’s as easy as play. Just move your characters around onscreen, tell your story, and Toontastic records your voice and animations and stores it on your device as a 3D video. Toontastic is a powerful and playful way to create interstellar adventures, breaking news reports, video game designs, family photo albums, and anything else you might imagine! I downloaded the iPad version, and I’ve been delighted with my experiments. Toontastic 3D is responsive, intuitive, gives professional looking results and has scaffolding for kids. Basically the app encourages children to make their own little cartoon-style movies. There are lots of pre-made settings, characters and soundtracks for kids to use - they supply the narration, the animation by moving the characters around and can even supplement settings and characters with their own creations. Explanations about story elements - like the middle of a story often having a problem - are great scaffolding for little storytellers who need reminders. I was particularly pleased with the drawing canvas where kids can create their own backgrounds for their digital stories and draw their own characters - there’s a fill tool, a huge range of colours, and an adjustable brush. How wonderful to have this way for kids to tell their own stories, but also to be more deeply involved in the design process! Once a character is drawn in 2D, it is rendered in 3D and becomes one of the many characters kids can choose from. Children can also export the video to their camera roll, meaning it can be shared or emailed to a different device and saved. Check out all of my iPad App Reviews on Pinterest, and find more apps and articles via my Listly page. I’ll be adding this app to my list of Tools to Involve Kids in Digital Storytelling and to the list, Creating with Children and iPad Apps.